When you have multiple ways of communicating with your team, it’s important to avoid the silo effect. To mitigate this pitfall, we enabled Help Scout’s integration with Slack to centralize and streamline information across teams. This is especially handy for keeping non-support teammates in the loop since we can send Help Scout conversations to specific channels in Slack. For example, when a customer leaves a happiness score, you can set it up to automatically post to a shared channel on Slack, so the whole team gets to celebrate when customers leave positive reviews. Tips for using your favorite group chat as a productivity tool. And if something gets shared where a client didn't get the help they need, we can quickly share the challenges they are experiencing and discuss what to do next. 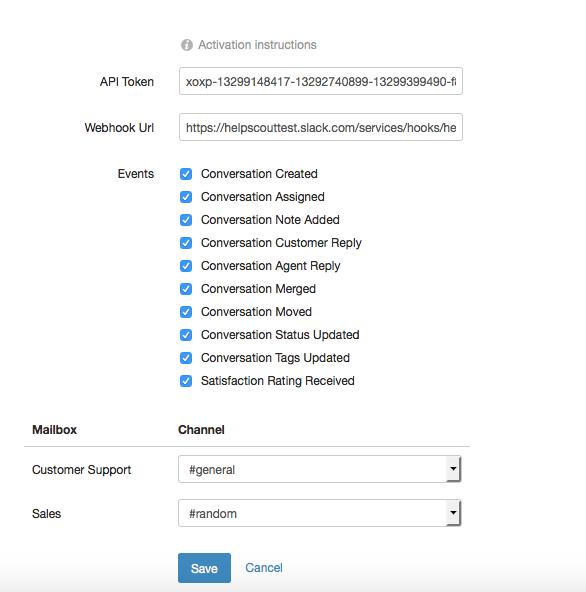 You can create this workflow when you set up the Slack app in Help Scout. If you’re worried about distracting your team with too many Slack notifications, we found that this particular functionality ended up being an ideal volume for us. It's not going to be distracting everyone every five minutes, but at the same time, the whole company gets the pulse of what's going on in our support inbox. For teammates who are not front-facing, it’s a boost to tangibly see when a customer is really happy with what they’ve done in a meaningful way. Help Doc: Centralize team communications and make the most of every action you take, so you can keep the focus on delighting your customer faster. Will is the co-founder of BeerMenus, a software platform connecting over 5 million beer lovers with more than 30,000 restaurants, bars, and stores that sell great beer.